Eight months after the Russian ambassador to Turkey, Andrei Karlov, was shot dead in broad daylight, on Wednesday yet another Russian ambassador has died. According to Russian news agency RIA Novosti, the Ambassador of the Russian Federation to the Republic of Sudan, Mirgayas M. Shirinskiy, was found dead in his home in Khartoum Wednesday. Al Arabiya adds that the ambassador was found drowned in the swimming pool at his home. Employees of the embassy discovered Shirinsky at his residence around 6pm local time, the press secretary of the Sudan mission, Sergey Konyashin, according to RT. The diplomat, who was 62 years old, appeared to have symptoms consistent with a serious heart seizure, Konyashin said, adding that doctors were immediately called to the scene, but were unable to save his life. According to Sputnik, before taking his post in Sudan, Shirinskiy served at the Russian embassies in Egypt, Yemen, Saudi Arabia and Rwanda. The diplomat’s body was taken to a morgue in a Khartoum hospital, the spokesman said, adding that procedures are now in place to arrange for its return to Russia. 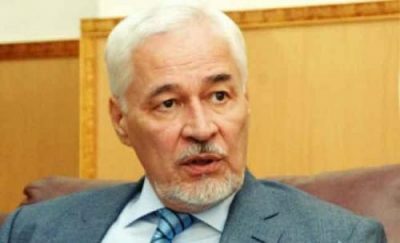 “We inform you with regret that Russian Ambassador to Sudan Mirgayas Shirinsky died in Khartoum on August 23,” the Russian ministry said. “Immediately after receiving detailed information from employees at the Russian embassy in Khartoum, we will inform you about the circumstances of our colleague’s death,” the ministry said. Russia’s Ambassador to Turkey, Andrei Karlov — assassinated by a police officer at a photo exhibit in Ankara on December 19. Russia’s Ambassador to the United Nations, Vitaly Churkin, died in New York in May. Churkin was rushed to the hospital from his office at Russia’s UN mission. Initial reports said he suffered a heart attack, and the medical examiner is investigating the death, according to CBS. Russia’s Consul in Athens, Greece, Andrei Malanin, was found dead in his apartment January 9. A Greek police official said there was “no evidence of a break-in.” But Malanin lived on a heavily guarded street. The cause of death needed further investigation, per an AFP report. Malanin served during a time of easing relations between Greece and Russia when Greece was increasingly critiqued by the EU and NATO. The top official of Russia’s space agency, 56-year-old Vladimir Evdokimov, was found dead in his prison cell (where he was being questioned on charges of embezzlement). Investigators found two stab wounds on Evdokimov’s body, but no determination had been made of whether they were self-inflicted. Perhaps the former head of US intelligence was merely projecting US tactics onto the Russians.